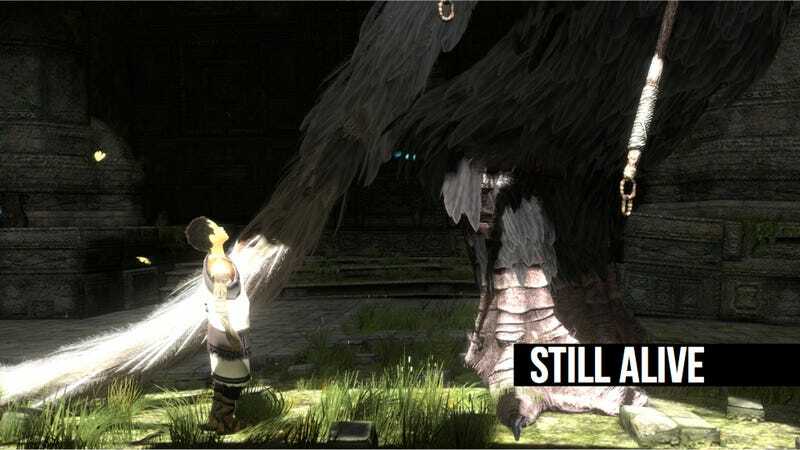 The Last Guardian is the the PlayStation 3 game that the people who most want PlayStation 3 games want. It's also the biggest Sony title that appears to be in risk of vanishing before our very eyes. First shown in a pair of trailers in mid-2009, it was a no-show at E3's 2010 and 2011. It's lead creator, the vaunted Fumito Ueda whose PlayStation 2 projects Ico and Shadow of the Colossus are modern classics, left Sony last fall. GameStop erroneously listed the game as cancelled. It's still alive, Sony has said, but, I recently asked Sony head of worldwide game development, Shuhei Yoshida, what can you tell people who are terrified that this game will never come out? "For any game, I say no one can guarantee all games will come out," Yoshida replied, diminishing my own skepticism not a tad. "Making games is hard. Teams try to come up with something totally unique and ty to prove that they are do-able. There is a lot of engineering involved." But this game, this ambitious game about a boy and a monster he hangs out with, still exists? Follow-up: Is it any good? "Yeah," Yoshida laughed. "The team's always been making progress, but there are lots of difficulties, especially on the…" He paused. "It's a tough, tough proposition that Ueda-san has come up with, the emotion, the character and AI." Ueda is still on the game, Yoshida stressed, just as a freelancer, Yoshida said. "Ueda-san has never left the team… he just has a different kind of set-up. We have discussed [things] with Ueda-san and made it a bit more defined in terms of his contribution and his creative input. He has been doing the same, great work. He never left the team. He's is on top of the team."